Have you seen the new Rihanna Puma Fur Slides? Pink, fury, and fun. 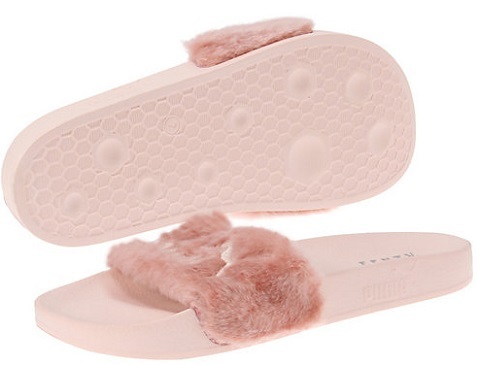 The Fur Slide is the third style to unleash from the FENTY PUMA by Rihanna collection. This stylish slide is a daring, cozy spin on a PUMA classic. Making over a timeless PUMA performance sandal worn by soccer players off the field, its soft, comfortable design features a faux fur strap and a satin foam backing. The shoes are currently sold out on the Puma website (May 2, 2016). Good luck finding them in-stock somewhere. These slides are currently a hot commodity. PUMA® Fenty Trainer by Rihanna. The new addition to Rihanna and PUMA®'s Fenty collaboration coming soon. By the way, nothing to do with these fab shoes, but just curious if you have seen the Fashion Blog Template website. It's new, but we don't need to keep it a secret.